Hahaha! So true, huh? Frances challenged us to make a card with some green on it because it is St. Patrick's Day. 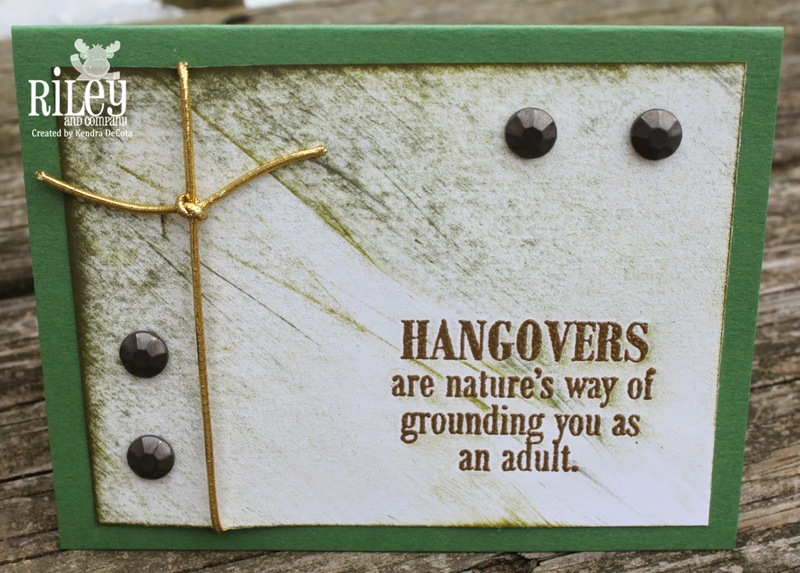 So I thought I'd add in Riley and Company's Funnybones sentiment Hangovers just to round out the day! Have a great time tonight and stay safe!